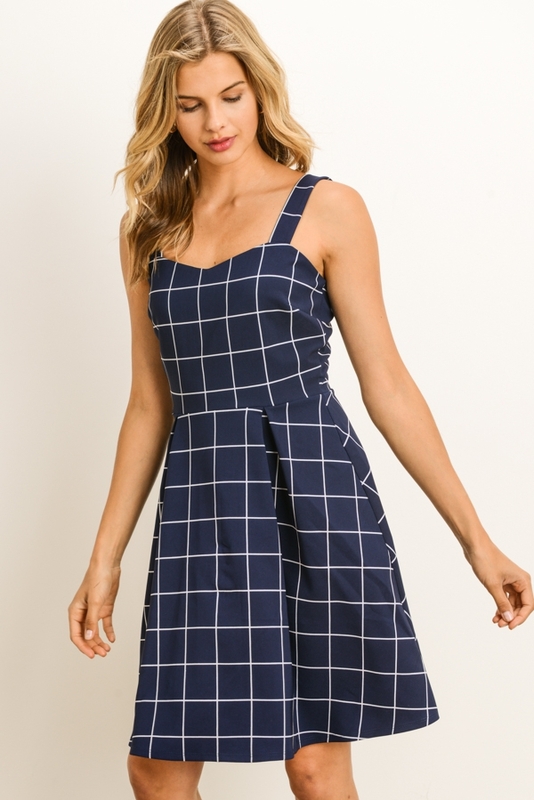 - An A-Line Dress featuring a sweetheart neckline, thick shoulder straps, cinched waist, pleated skirt and a geometric square print fabric. Dimensions: Height 5`8" Bust: 31.5." Waist: 24"